The IL611A-3E passive input digital isolator from NVE is a two channel signal coupler with flexible, wide range of input voltage and open drain output. This isolator features data rate of 10Mbps, working voltage of 150VRMS and endures high voltage of 1kVrms/1.5kVdc. 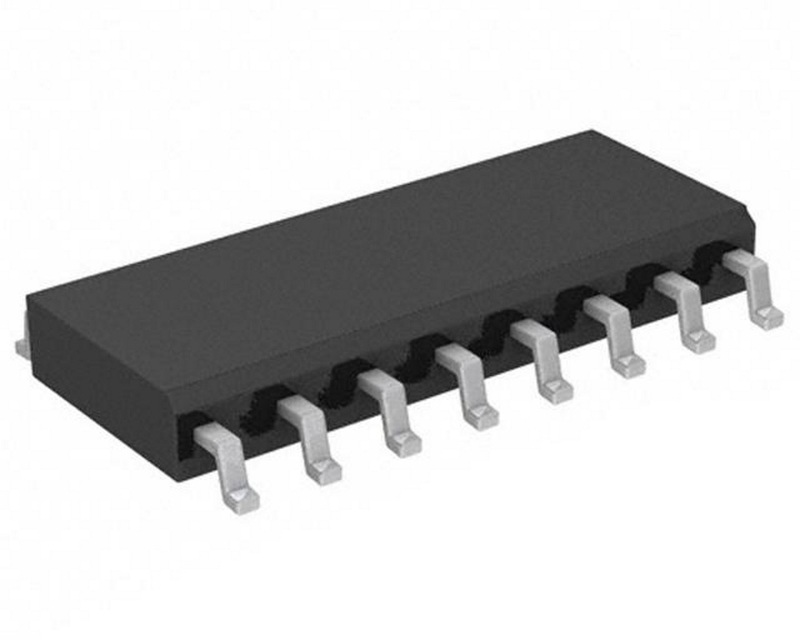 The IL611A-2E is available in an 16-pin 0.15" SOIC package, specified over a temperature range of −40°C to +85°C. The IL611A series from NVE are a passive input digital isolator devices manufactured with NVE’s patented IsoLoop® spintronic Giant Magnetoresistive (GMR) technology. They have a similar interface but better performance than optocouplers, featuring a higher package density and functioning over a wide range of data ranges, edge speeds and power supply levels. A unique ceramic/polymer composite barrier provides excellent isolation and virtually unlimited barrier life. The IL611A series, including IL611A-3E is UL1577 recognised and certified to IEC 60747-5-5 (VDE 0884). The IL611-3E passive input digital isolator from NVE is a two channel signal coupler with flexible, wide range of input voltage and CMOS output. This isolator features data rate of 100Mbps, working voltage of 150VRMS and endures high voltage of 1kVrms/1.5kVdc. 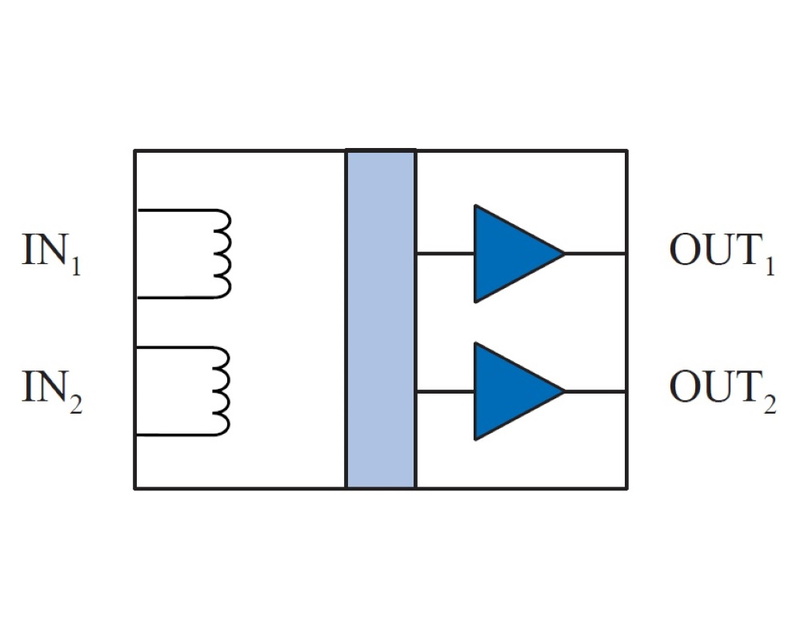 The IL611-2E is available in an 16-pin 0.15" SOIC package, specified over a temperature range of −40°C to +85°C. 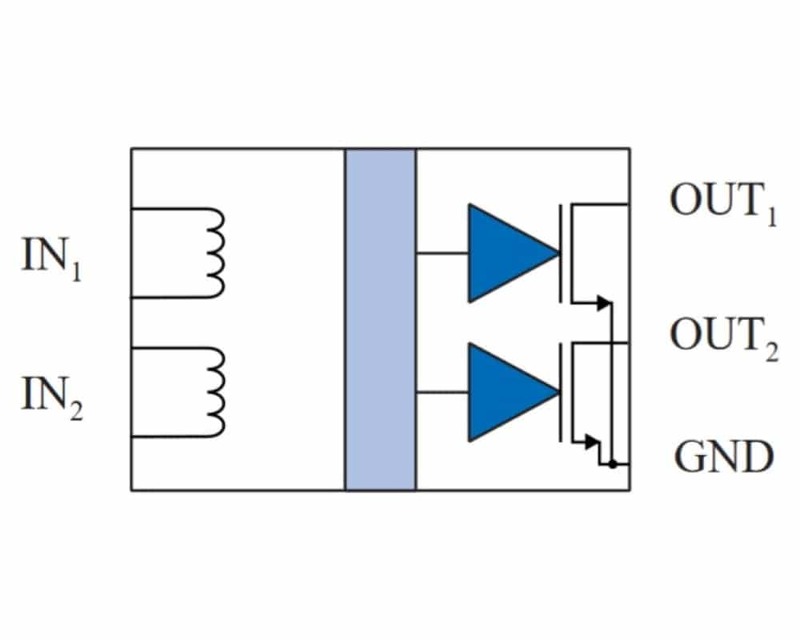 The IL611 series from NVE are a passive input digital isolator CMOS device.. The IL610A-1E passive input digital isolator from NVE is a single channel signal coupler with flexible, wide range of input voltage and open drain output. This isolator features data rate of 10Mbps, working voltage of 150VRMS and endures high voltage of 1kVrms/1.5kVdc. The IL610A-1E is available in an 8-pin MSOP package, specified over a temperature range of −40°C to +85°C. The IL610A series from NVE are a passive input digital isolator devices.. The IL610A-2E passive input digital isolator from NVE is a single channel signal coupler with flexible, wide range of input voltage and open drain output. This isolator features data rate of 10Mbps, working voltage of 300VRMS and endures high voltage of 1kVrms/1.5kVdc. The IL610A-2E is available in an 8-pin PDIP package, specified over a temperature range of −40°C to +85°C. The IL610A series from NVE are a passive input digital isolator devices.. The IL610A-3E passive input digital isolator from NVE is a single channel signal coupler with flexible, wide range of input voltage and open drain output. This isolator features data rate of 10Mbps, working voltage of 150VRMS and endures high voltage of 1kVrms/1.5kVdc. 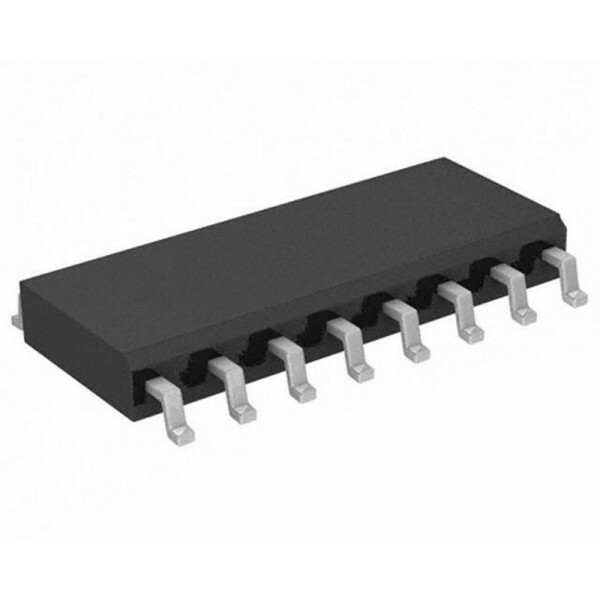 The IL610A-3E is available in an 16-pin 0.15" SOIC package, specified over a temperature range of −40°C to +85°C. The IL610A series from NVE are a passive input digital isolator .. The IL611A-1E passive input digital isolator from NVE is a two channel signal coupler with flexible, wide range of input voltage and open drain output. This isolator features data rate of 10Mbps, working voltage of 150VRMS and endures high voltage of 1kVrms/1.5kVdc. The IL611A-1E is available in an 8-pin MSOP package, specified over a temperature range of −40°C to +85°C. The IL611A series from NVE are a passive input digital isolator devices ma.. The IL611A-2E passive input digital isolator from NVE is a two channel signal coupler with flexible, wide range of input voltage and open drain output. This isolator features data rate of 10Mbps, working voltage of 300VRMS and endures high voltage of 1kVrms/1.5kVdc. The IL611A-2E is available in an 8-pin PDIP package, specified over a temperature range of −40°C to +85°C. 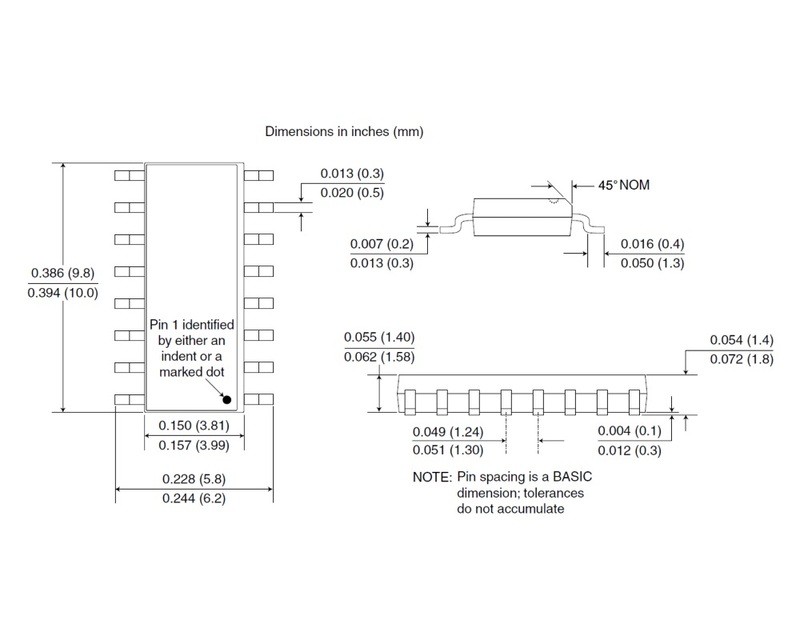 The IL611A series from NVE are a passive input digital isolator CMOS devic.. The IL612A-2E passive input digital isolator from NVE is a two channel signal coupler with flexible, wide range of input voltage and open drain output. This isolator features data rate of 10Mbps, working voltage of 300VRMS and endures high voltage of 1kVrms/1.5kVdc. The IL612A-2E is available in an 8-pin PDIP package, specified over a temperature range of −40°C to +85°C. The IL612A series from NVE are a passive input digital isolator devices ma.. The IL612A-3E passive input digital isolator from NVE is a two channel signal coupler with flexible, wide range of input voltage and open drain output. This isolator features data rate of 10Mbps, working voltage of 150VRMS and endures high voltage of 1kVrms/1.5kVdc. 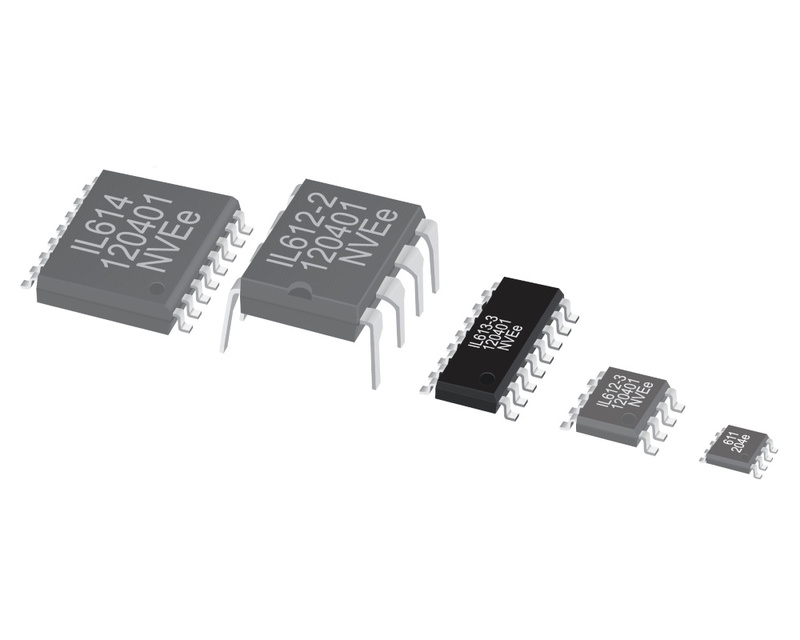 The IL612A-2E is available in an 16-pin 0.15" SOIC package, specified over a temperature range of −40°C to +85°C. The IL612A series from NVE are a passive input digital isolator dev..